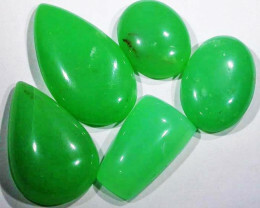 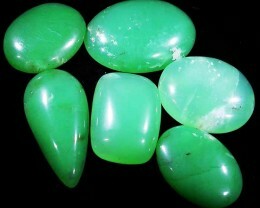 This is B grade Chrysoprase Cabochons from Tanzania as there are some inclusions which is common in this material. 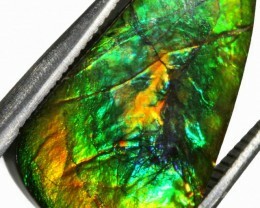 The colour is uniform and beautiful apple green making it perfect for jewellery. 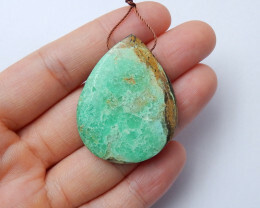 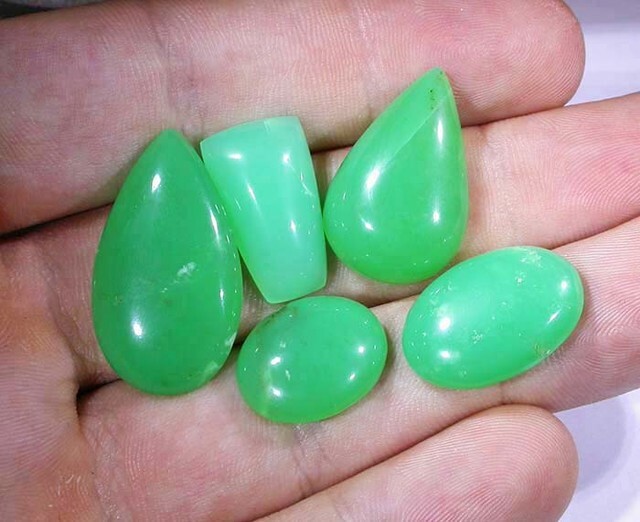 Chrysoprase is quite often opaque, but the more translucent the gemstone, the better the quality. 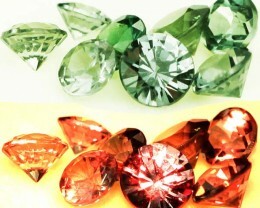 The highest-quality material is a rich apple-green of even color, without flaws, fractures, inclusions, cavities or other imperfections. 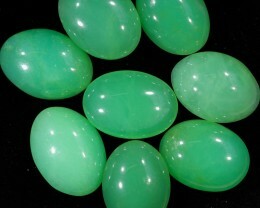 Much of the chrysoprase used for beads has a brownish matrix. 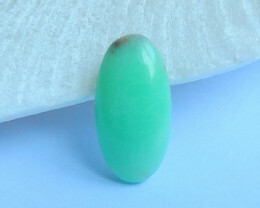 Chrysoprase is easily worked and takes a fine polish. 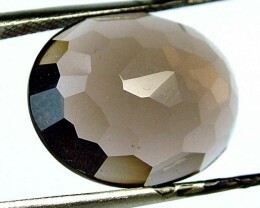 The stone's cheerful hue can fade in sunlight and when heated. 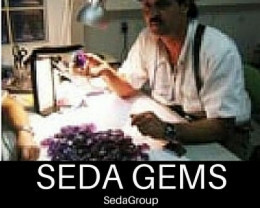 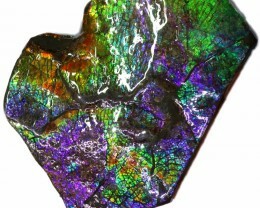 Fading occurs when dehydration robs stones of their coloring agent, and as stones dry out, they lose translucency and luster. 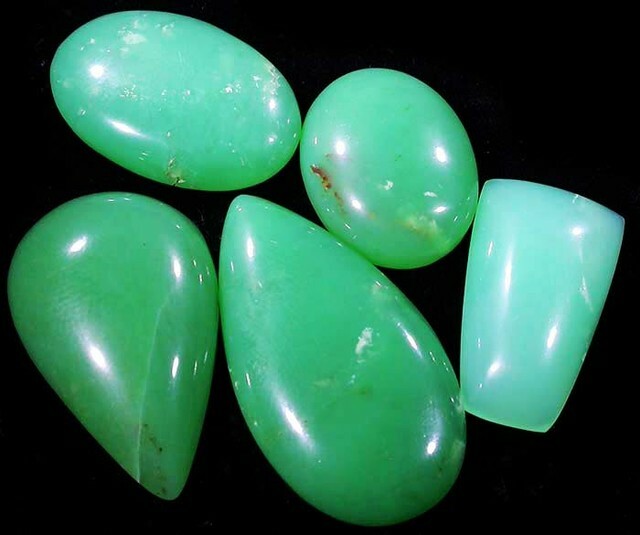 To restore these attributes, leave stones in wet cotton or take a bath while wearing your chrysoprase jewelry.